I know that this should seem like a no-brainer, right? How hard can it be to pick out rabbit supplies for your new bunny? You get yourself a cage, some food, and you’re done. Right? Wrong. 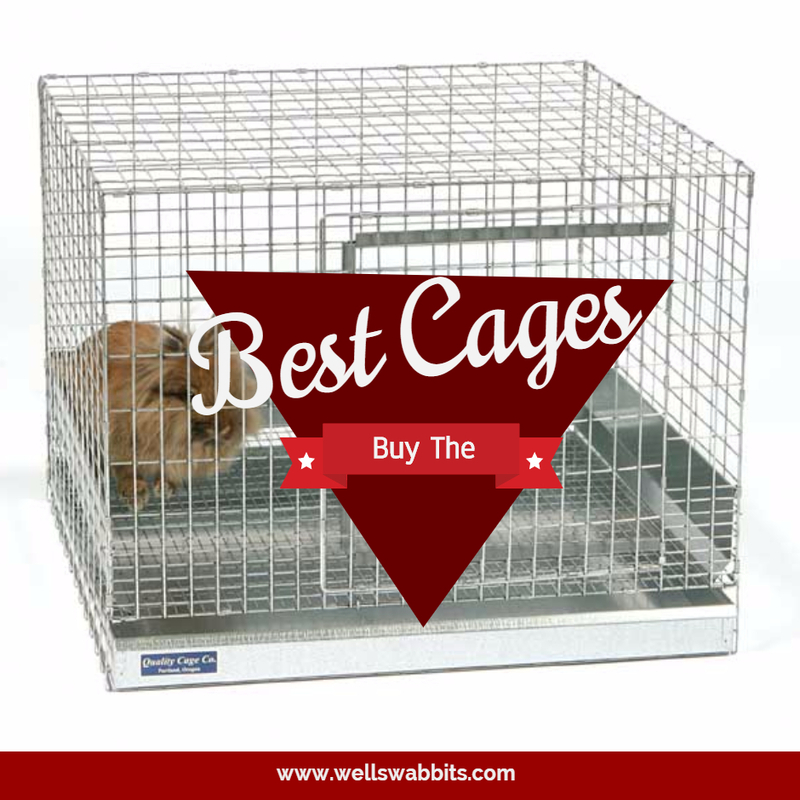 There are basic rabbit supplies that you are going to need for your bunny, and there are probably 5 – 10 different designs from which to choose for each one of them. That’s great because there are so many choices, right? Wrong again. I firmly believe that some of the suppliers of rabbit products have never actually used them on a real, live rabbit. Some of the hanging hay feeder designs that are available out there made it almost impossible for my rabbits to get the hay out of it. One that I bought that was wood (in my ignorance), immediately became a chew toy for my rabbit. They’ll chew on absolutely anything made out of wood. Oh, and don’t forget the fact that he couldn’t even get the hay out of it. If your bunny will be outside, it will need both a water bowl and a water bottle. The water bottle is a great standby if your stupid bunny knocks his water bowl over by flipping it up in the air with his teeth for the second time in a day in the middle of a hot summer when your rabbit always needs access to water (I really wish I could put mine in a time out for doing this). But, not just any water bowl will do. It needs to be wide, and made out of strong rubber and not metal or plastic. Why? Because rubber is the easiest to remove a block of ice from in the middle of winter. Plastic will break (experience talking here). And, you don’t want your rabbit’s tongue sticking to an icy metal bowl because he licked it. So, I’m going to give you my Buy This / Not That rabbit supplies list and share some of my hard-learned experience with you. I really wish I’d had a list like this when I brought home my first rabbit. Metal water bowls tend to make water hotter during the summer, and colder during the winter. Rubber doesn’t retain heat or cold quite as well. Metal can also get icy on the outside, and if the rabbit licks the outside of the bowl with a wet tongue, its tongue can stick to the bowl. This clip on dish is perfect for indoor cages and will hold both food and water for your bunny. 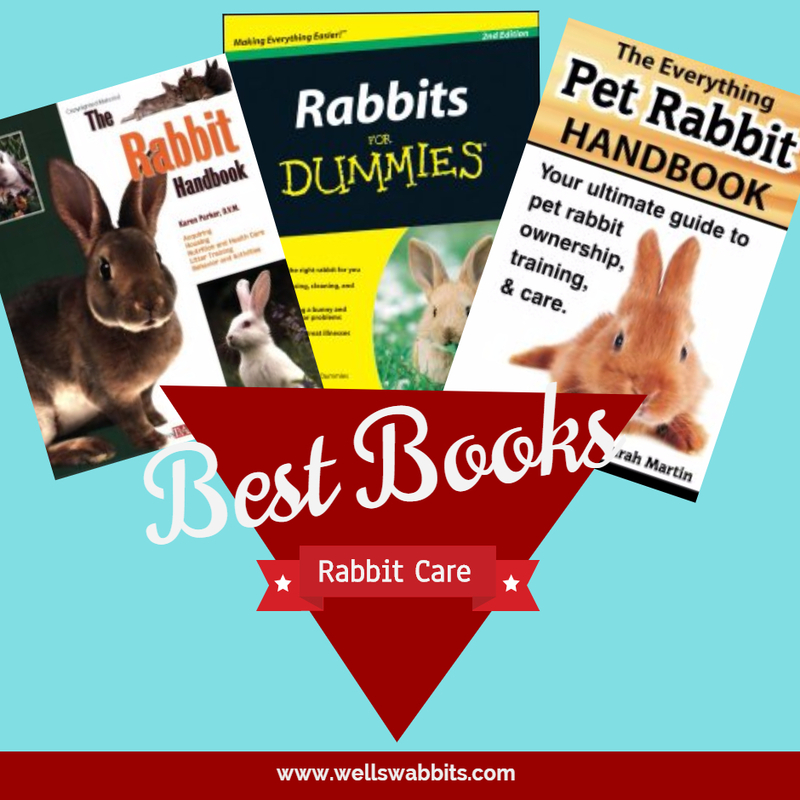 If you have a smaller dwarf breed of rabbit, the Petite size is probably the right size for you. It will hold 1/2 cup of food and water. You might also check out the Small size too, however, as it will hold 1 cup of food and water. I use these clip-on dishes when I’m traveling to rabbit shows with my rabbits as well. I put food in the dish while we’re traveling en route (but no water so it doesn’t slosh out on them), and since we are typically not travelling farther than an hour or two away, I give the bunnies water as soon as we reach our destination. The clip-on dishes are very easy to remove and clean out as well. I’m not gonna lie. We have about 30 of these bowls in our rabbitry, as we also use them to put cut up treats in the outside hutches. For little bunnies, I use smaller water bottles in their indoor cages. Since they are indoors during the summer, they won’t be going through as much water as bunnies in outdoor hutches. For my outdoor bunnies, I put large water bottles inside their cages regardless of their size. And, I also have water bowls in their hutches. During the heat of summer, they go through an unbelievable amount of water each day. This water bottle has a clip-on feature that secures it to the cage. If I have any advice for you about water bottles, it is stay away from the ones that attach to the cage with a piece of wire in the shape of a C. The water bottle will barely stay on with these attachments. It flops back and forth, and they sometimes come off completely. And, then your bunny has no water until you discover that it has fallen off. I have several of these lying around in my garage right now along with my extra rabbit supplies no longer being used. This water bottle also has a handy top fill feature on it. If you attach the bottle to the outside of the cage and just let the dispenser poke through, then you can fill up the bottle from the outside of the cage without having to take the bottle off completely. It is easy enough to remove the bottle for cleaning, but you don’t want to have to take it off every single day. For outdoor hutches and bigger bunnies, this is my favorite water bottle. We are gradually moving all of our water bottles over to this one as the other water bottles get chewed on or as I get tired of screwing around with the little wire attachments on them. I really like this water bottle because it attaches to the cage or hutch with a clamp and screw, thus making it almost impossible for your bunny to yank it off the cage. Sometimes when their water bottles are empty, even if they have a full bowl of water next to them, they will throw a bit of a tantrum and tear it off the wall. This prevents them from doing that. If is also easy to mount on the outside of the cage and poke the dispenser through to the inside of the cage. This allows you to pop the top off of the water bottle to refill it. This is much easier than having to remove it every day and screw the lid off. As with all water bottles, the only negative is that they freeze in the winter, so you’ll either want to remove them totally from your hutches and go with a water bowl, or you’ll need a double count of all water bottles so that while one water bottle is thawing out, you have another thawed out water bottle that you can place back inside the rabbit hutch. If you have an indoor cage, I suggest you buy the Kennel Travel Kit for Pets – Hook-On Dish & Live Animal Labels (Petite) that I mentioned above in either the Small or Petite size. This is all you really need for a small rabbit. Food bowls will be flipped up in the air and rabbit pellets will be everywhere because you simply can’t buy a food bowl large enough to prevent this that will actually fit inside the cage. For outdoor hutches, I highly recommend that you buy a J-Feeder. The J-Feeder will clip on to the side of the cage, and and can store extra food in a reservoir that will really help out if you have junior rabbits who eat quite a bit more than senior rabbits. Make sure that you buy a J-Feeder that has a mesh grid on the back side of it. This will allow the dust from the rabbit pellets to exit the feeder before the rabbit pellets enter the food bin. This is the feeder that I have in all of my outdoor hutches. Each side has a wire that threads through the cage wire and attaches it to the wall of the hutch so that the bunny cannot pull it off. I free feed my rabbits. They are a healthy weight, and do a good job of self-managing themselves. If your bunny has weight or health problems, you could just simply measure their food out and pour it into the feeder each day. Sometimes the food will get stuck up inside the feeder if the rabbits have been tugging on the feeder, and have pulled it out a bit so that it is not upright. I could probably wire it to the cage tighter to prevent this problem though. I am going to be honest. I don’t like a lot of the hay feeders out there. I had to purchase several different models before I found one that allowed my rabbits to easily pull the hay out of the feeder. The wooden hay feeders are worthless. Don’t even waste your money on them. The rabbits will eat the feeder (literally), and the slats make it difficult for your rabbit to get any hay that isn’t sticking out of the top of the feeder almost impossible to get to. The plastic hay feeders are not very good either. I also tried these, and the slats on them also made it difficult for the rabbits to get any hay if it wasn’t sticking out. I like this hay feeder because I can hang the free salt lick on it, and replacement salt licks all have a hole in them so that you can hang it on the salt lick hanger as well. Your rabbit will enjoy getting fresh cut veggies, dried or fresh fruit pieces, and the occasional teaspoonful of BOSS (black oil sunflower seeds), and a snack bowl is the perfect place to put these for your bunny. I like to keep these fresh items out of the feeder so that the rabbit pellets don’t get damp and clump together. I have one of these little crocks in each of my cages/hutches. I use them to put little treats inside of or to put the fresh goodies that I bring them. There is a clamp and screw mechanism that secures it to the side of the cage, and this prevents them from being able to paw at the cup and turn it sideways or pull it off of the cage. If you were to fill the entire thing up, it would measure about one cup of food into the bowl. I only ever fill it up partially, and they enjoy seeing what I have put inside their little bowl each day. It is very easy to clean out. Just unscrew the clamp, and remove the bowl. They are dishwasher safe, and once they are clean, you can quickly put them back inside the cage. Rabbit pellets are one of those items that varies by availability by region. Here where I live in Oklahoma City, Oklahoma, Manna PRO and Purina Complete Rabbit Care are the two rabbit pellets that are available at the Tractor Supply Feed Store where I get my food and hay for bedding. I used to combine them both, and mix them 50/50 because each of them have similar protein content, but have different vitamins and minerals. However, last year a lot of backyard rabbit owners started having rabbits die suddenly without cause, and the common link with a lot of them was that they had all been using Purina Complete Rabbit Care. Whether it was due to a bad batch or something else, I stopped using it immediately, and threw out the rest of it (I only had a little bit left anyway), and now I exclusively feed Manna PRO. It’s a great rabbit pellet that has a 16% protein content, and produces beautiful coats on my rabbits. Be careful if you’re buying rabbit pellets from the local pet stores, and make sure you do plenty of research on the internet prior to purchasing it for your rabbit to make sure that there have been no deaths associated with that seller of rabbit pellets. There are a number of other brands that have been associated with the sudden deaths of rabbits over the last few years in addition to Purina, so it’s worth a quick look on the internet. The same thing goes with any processed “Treats” that you buy for your bunny. If it’s not fresh, don’t let your rabbit consume it before researching the product for rabbit deaths. This is what I use, and around here, you can only buy it in a 50 lb. bag. It doesn’t go bad, and will keep for a very long time as long as you keep it out of moisture and in a container where bugs can’t get into it. There is also a 25-lb. bag available online at Amazon, but they only have limited quantities, and since it’s being sold by a distributor and not direct from Manna Pro, I’d stick with the bigger bag, or see what kind of rabbit pellets that they sell at your local feed store. I would recommend buying your rabbit food at the local feed store over some of the chains, as the feed store might be able to sell it to you cheaper if you’re willing to buy in a larger quantity. 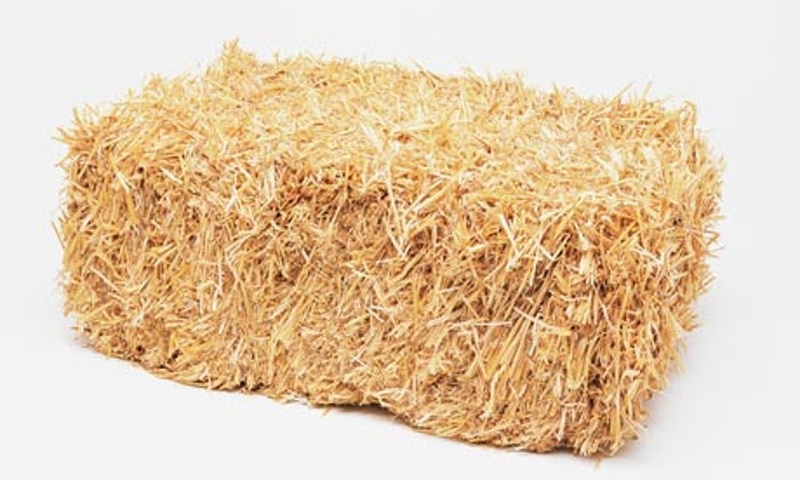 This is one of those items that will cause your rabbit to die if it doesn’t have it to eat – hay. Make sure that it IS NOT alfalfa hay because alfalfa hay will give it bloat, and it might die from it. All of my rabbits have grass hay for their bedding. This is just a bale of prairie grass hay that I buy at the feed store, and break up for their bedding. So, they like to munch on it too. Timothy hay is better for them though. It is sweeter, and they need it for the fiber. Fiber keeps everything in their gut moving so that they don’t go into gastric stasis (which essentially is paralysis of the stomach and intestines). So, timothy hay is absolutely critical to always have in their cage 24/7. I have purchased different brands of timothy hay, and there are some brands that my rabbits simply won’t touch. I don’t know why. It all looks the same to me. But, apparently, they don’t like something about some of the brands. There are other brands that cut their timothy hay up into such small pieces that most of it just falls straight through the hay feeder and onto the ground. I wasn’t too happy about this purchase. So, after some trial and error, this is the brand that I use. I order mine from Amazon because it is slightly cheaper than buying it at the pet store. I almost always either buy my timothy hay in the 96 ounce bag or 20-lb. box because I find that my rabbits go through timothy hay fairly quickly, it never goes bad, and the cost per ounce is lower the more you buy. 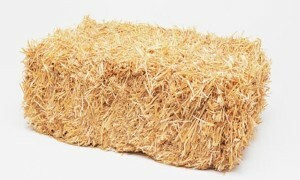 I also like this hay because it is cut larger than the other brands. So, I don’t end up losing 1/3 of it to falling all the way through to the ground. And, for some reason, this is the brand that my rabbits prefer. They eat it much better than any other brand. Some of the other brands will turn dry and brown without my rabbits ever even eating it. Not so with this brand, so I highly recommend it. I know that there are a lot of different bedding options out there for small animals, but for rabbits you need to keep in mind that they will eat anything that is in their cage, or at least try to eat it. So, you have to be very careful about what kind of bedding you buy because if they eat it, it might stop them up and potentially kill them. There are also some brands of bedding like cedar, that are toxic to rabbits. Rabbit cannot eat anything from cedar trees. Although pine is okay, because they love to eat pine cones, and pine cones also act as a natural dewormer. Some bedding will absorb smells. But here’s the deal. If your rabbit cage smells, it’s time to clean it out. It’s not good for your rabbit’s lungs to be breathing in the ammonia smell from its cage, and if it smells, it’s most likely staying damp from lying in damp bedding too. So, just go to the local feed store, and buy a bale of prairie hay, and spread that out for the bedding. When it looks or smells dirty, change the bedding. It’s safe for them to eat, it keeps them nice and warm, and it provides a cushioned area in which they can rest. I have heard mixed opinions about whether or not straw is safe to use as bedding for a rabbit. I’ve been warned by workers at the feed store who work in the rabbit supplies section that it might give them bloat, and I’ve also had several rabbit breeders who show their rabbits say the same thing. I don’t know if that’s true or not, but I don’t want to find out with my rabbits, so I only use prairie grass hay for my bedding. Here in OKC, a bale of prairie grass hay costs $9.99 at Tractor Supply Feed Store. Trimming your rabbit’s toenails is one of those necessary evils that must be done about once every two weeks without fail, or they will develop sore hocks from having to sit back on their feet improperly. It rubs the fur off of their hocks and the skin develops a large open sore on them. I just use a pair of cat nail trimmers. You don’t want to use anything larger than this because it become too difficult to see where the quick starts on their little nails. And, if you trim your rabbit’s toenails too far back, you will make them bleed. And, then they can potentially become infected. When you trim their nails, you want to flip them onto their back (I flip mine onto their back with their hind legs facing me onto an old pillow that has been deemed ‘The Rabbit Pillow” now, and I have one of my kids hold their head for comfort and so they don’t jerk around), and then you want to look for the spot on their toenails where you see pink starting on rabbits with lighter colored nail. For rabbits with dark colored nails, you’ll need a second person to shine a bright flashlight underneath their toenails while you clip them so that you can see where the quick is located. Only trim off very small amounts at a time. Don’t get gung-ho and just start snipping off large amounts. The hind claws will naturally be much longer than the front claws, so they’ll still be fairly long. So, make sure you don’t trim them too short. If they do start bleeding, you’ll want some styptic powder on hand to dip their paw into, and this will help clot up the blood. You can try using corn starch as well, but I never have much luck with using corn starch or flour. It always starts bleeding again. These are the clippers that we use on our rabbits. We used to buy the less expensive $5 clippers, but found that they dull very quickly. Then, you have to go buy another pair. I’ve had this pair for 6 months so far, and they are still pretty sharp and don’t seem to be trying to pull apart like the cheaper pair you can find. For the money, I think this pair is worth it. They are also easier to get a finger through as well, and are simply more comfortable to use when you’re already contorted up into a strange position in order to wrestle your bunny onto his back so that you can trim his nails. It will only take one time clipping your rabbits toenails into the quick, and you will hear them scream and think the blood is never going to stop pouring out of their toenails. It’s a horrible feeling to not be able to get flour or corn starch to work and to just be sitting there with a vice grip around their paw trying to get the bleeding to stop. So, do yourself a favor now, and buy the styptic powder before you need it. This is one of those items you just need to buy now and have it on hand because it WILL happen. At some point, no matter how careful you are, your dumb bunny is going to jerk right as you’re trimming their nail, and you’re going to accidentally cut the toenail into the quick. It’s important to brush your bunny to keep its hair from matting up. You won’t need to do it daily, but if you notice that it is going through molt (where it sheds all of its hair annually) or if it is matted up around something, you’ll want to get after it with a brush. Since rabbits bathe themselves constantly, they are prone to hair balls like cats, however, they cannot vomit the hair up like cats. So, if they’re not able to pass the hair through their poop, they can get stopped up and die. Please, please, please don’t EVER give your bunny a bath. Rabbit hair takes forever to dry thoroughly, and it can make it very difficult for your bunny to regulate its body temperature. Rabbits are like cats and bathe themselves, and generally do a really good job of keeping themselves clean. The type of brush or comb you need depends upon your bunny. We raise Standard Rex rabbits. Both Mini Rex and Standard Rex rabbits have special coats that have a texture like velvet that is easy to damage with a regular brush. So, if you have Rex or Mini Rex, you should be using a hacksaw blade with the finest tooth you can get. This saw blade has such a fine tooth on it that I can rub it over the top of my hand and not scratch my skin with it. If you have Rex or Mini Rex, this is the ONLY thing you’ll ever want to use on their coat other than maybe a very fine pumice stone, which you can also use to buff their coat. For other short or long haired rabbits, you have more options as far as brushing your rabbit goes. I love this little grooming kit. I bought it for the pink brush alone. It has very soft bristles that are easy on my rabbit’s delicate skin, and it doesn’t pull the hair. The blue brush is great for the longer hair of my Holland Lop because she tends to have spots on her belly where the hair tends to mat up because it drags the ground. The little toenail clippers that are included are pretty much worthless. I used the ones from this kit for about two months before they wore out. That’s what I was referring to in the section above for Nail Clippers. Over time, the two sections of these scissors start to loosen up and just don’t cut very well. And, they’re just really flimsy. Because the chew treat that is included is obviously dipped into a ton of die, I’d just throw that away. Your rabbit needs salt in its diet, and one way to provide this is to keep a salt lick in their cage at all times. I just buy the following pack, and put the wheel on the salt lick holder of my hay feeder. This salt lick will last about 6 months if you keep it out of the rain and it doesn’t get tossed by bunny into his/her water bowl. I don’t like the ones that are in the shape of different fruits. I have purchased those before and had them almost completely disintegrate the moment they got just a little wet. These will still hold together if they get wet, but they will decrease in size as the salt leaches into the water. Your bunny needs a variety of chew toys. Pine cones make great toss toys for them that they like to play with and eat. The pine cone will also act as a natural dewormer. Bunnies also like toilet paper or paper towel rolls to toss and chew on. It is perfectly safe for them to eat them too. If you stuff hay into each end of it, they’ll have great fun rolling them around the cage, tossing them into the air, and pulling the long strands of hay out of them. Cut up pieces of untreated wood are also good chew toys for them. But, they must be untreated wood because treated wood contains chemical preservatives in it that keeps the wood from rotting that is toxic to rabbits. 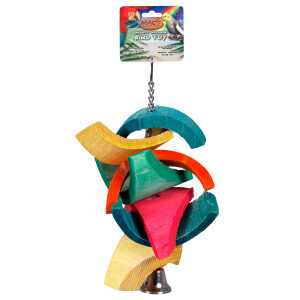 I also like to hang a bird toy with thick, chunky wood on it and a bell at the end of it in all of my rabbit cages. They love it! It takes them forever to chew through the thick wood, and I hear the little bells ringing off and on all day by their hutches as they play with the bell or gnaw on the wood. I’m not big on the dye in the wood, but I haven’t had any problems with my rabbits getting sick from chewing on it. The color does dull over time as it weathers, and I’ve had this toy in each of my rabbit hutches for almost 6 months. They will probably last at least another six months. Because rabbits teeth grow all of their lives, it is very important to have something like this in their cage that they can gnaw on, or you will have to invest in some teeth trimmers and cut their teeth yourself. 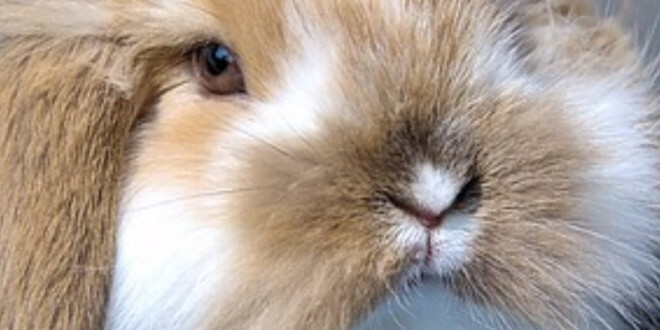 And, who wants to have to stick their fingers in a rabbit’s mouth and risk getting bitten trying to trim their teeth? Be proactive, and always keep something in their cage on which they can chew! 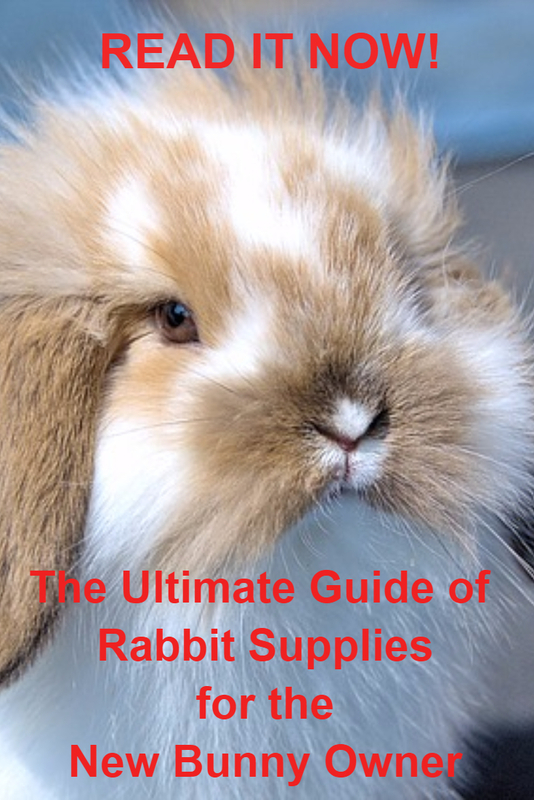 I hope my Ultimate Guide to Buying Rabbit Supplies has been helpful to you. I wish that I’d had some idea of which rabbit supplies I should and should not buy when I first brought home my rabbits. I wasted so much time and money on products that simply did not work at all. If I’d had a rabbit supplies guide like this that could have explained WHY certain products were a bad buy, that would’ve been very helpful. So, I hope you have enjoyed reading it!